I Want To Read That: When did my love of books turn into an obsession? I have loved reading for a long as I can remember – I don’t ever recall it not being part of my life. When I was really young I loved all things Enid Blyton. 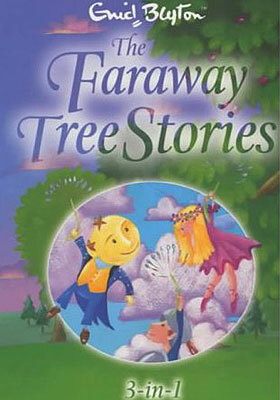 The Magic Faraway tree was my absolute favourite, followed by the Famous Five and then the Mystery and Adventure series until I discovered Judy Blume. It was ‘Are you there God? It’s me Margaret’ and was given to me by my sister while I was at my grandparents house. I must have been 10 or 11 at the time it was the first time I realised how amazing books could be. Up to that point I had loved reading but it had never captured me in the way this book had. I was transfixed by it – just so absorbed by the characters and story – it’s a feeling I’ve never forgotten. My reading tastes have changed over the years. I devoured all of Judy Blume's books, loved Paula Danziger and (embarrassingly) sweet dream romances. Point Horror books were a favourite of mind until I moved on to adult books when I discovered John Saul. And then I found Christopher Pike. Again I had that feeling I found when I first read Judy Blume. 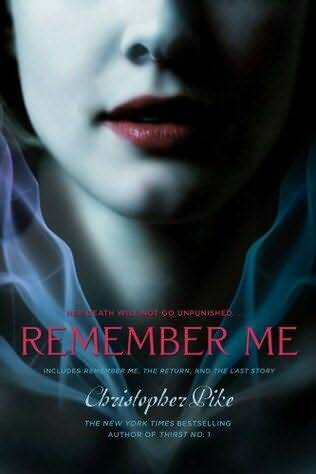 This time the book was ‘Remember Me’ and I absolutely loved it! I have had that feeling over and over again in following years. You never know when it’s going to hit and I wonder if it is the cause of my book buying addiction. Am I trying to find that perfect book in the way a drug user gets his fix? I don’t know. All I do know is I love books. I love everything about them. Finding them, what they look like, the promise of what is inside. The magic they could contain! Which is possibly where my problem lies? I have a ridiculously high TBR pile yet I still buy more books. So the question is ... why can’t I STOP BUYING BOOKS? I wish I could blame this on my blog but in all truth I developed this ‘problem’ years ago. I had a ridiculously high TBR pile before I started I Want To Read That. It’s one of the reasons I started. Perhaps my working in a bookshop and being surrounded by temptation all day is too much to ask? But I even go to bookshops on my day off! And don’t even ask me about charity shops! So am I alone in this problem? Is there a magic cure or will someone find me buried under my pile of unread books? Labels: Maybe I need help? LOL! I hope I didn't send you into crazy mode on Wednesday. I mean hey as long as it isn't bankrupting you I wouldn't worry too much. Think of all the good you are doing to the UK book economy. But 65 books bought, that is a lot! I guess I may have bought up to 20 this year but I haven't kept a tally and I know my buying has been exacerbated by my blog. I actually have the urge to go book shopping today to celebrate the fact that I'm on holiday. You are definitely not alone. I know exactly how you feel! I think for every one book of mine that I read, I buy three more...and check out five or six from the library. It really is an obsession. But a fun one! My theory is that we're like the people who stock up on bottled water and canned food for worldwide disaster, only we stock up on books! Just think how entertained we'll be when the zombie apocalypse hits! I absolutely relate to this post. Like most bloggers I have a TBR pile, which I try to limit by having a self-imposed rule that I can't buy more than three books in any one week. Three a week is about the pace I read at, so I feel I can pretty much justify that. Except that since I started blogging and getting books sent to me for review, sometimes I go a little above the three books and that's where the TBR pile comes in. I actually only have 24 books in the stack currently, but it still bothers me a little that I feel this inclination to go in every bookstore I pass, or order a book online to perk the day up a bit. Mostly it's fine, because I like 'browsing' the stack for something to read. But I think the danger is that you'll lose interest in the books that you've had sitting unread for a while, because they're not as shiny and new as the ones on the bookstore shelf. And that is sad. Turns out, I have no answers. Just rambling thoughts. Sorry 'bout that. No cure that I know of. Used book sales are my undoing. I'll come hope with 60 books and add them to the already huge pile. I read about 200 books a year and buy twice that. I don't think I'd want a cure! My obsession restarted when I began my book review blog. The rest is history. Books rule! I could have wrote this post, I relate so much! Right down to the books that inspired you as a child. I have a bad book buying addiction, which started long before I started blogging. I don't see anything wrong with it tbh, it doesn't hurt anyone and costs less than a shoe or bag addiction! I don't buy a lot of things like clothes, make up etc and I don't go for wild nights out (often) ... books are just my thing! It's great to see I'm not alone lol! Becky - No (lol) - I'm in my own self - induced crazy mode - more to do with no shelf space left when I only just bought shelves! :) Did you go shopping??? Becky - Zombie apocalypse? Love it! Had visions of having to throw my books at them to stop them getting me - then worried about damaging the books. I'm guessing that's a whole other issue! Jenny - ooh - well I guess 63 is not that bad then lol! Okay - I'm going back to bed now! I think my head cold may be affecting me more that I thought! It's hard to remember when my bookaholism began. The summer when I was 13 (yes, in just one summer), I read every Agatha Christie, E Stanley Gardner, & Nero Wolfe novel, plus a mountain of Ruth Rendell's and other mysteries. I have even earlier memories of my bookaholism. My life has been a stream of books. Just like Jennifer, I go to used book sales and come home with a ton, but I see it as saving money, as the books I buy are rather cheap compared to their store counterparts, also ahh I still use the library despite having hundreds of books in my owned physical-tbr. Oh well. I have to LOL right now. Just because it seems like we're in the same situation with our TBR piles. At least we can deal with our obsession together, right? Haha. I really try to limit the amount of books I buy. What I do is go the library and check out a huge amount of books. And for new releases, I usually try sit in the bookstore for a few hours and read a book in the store.Only problem is, lately I haven't had time to do that so I keep buying MORE AND MORE books and Ahhhh just two days ago I bought Before I Fall for $18 at the bookstore in HARDCOVER! AND ONCE I'VE STARTED I CAN'T STOP. I just barely stopped myself from going online and buying like 5 books today. Close call. Hehe. I find this both oddly funny and distressing. Sammee - Good news. I resisted the urge to buy books. I actually did it even though there are two that are absolutely things I want to read right now. Go me!